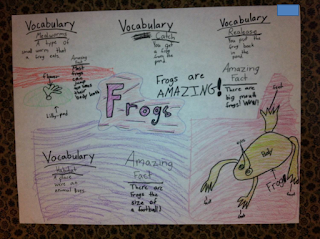 How do you teach kids to gather and compare information on a topic from multiple texts? This is the challenge offered in Common Core Standard RIT 9. Last week my students and I attempted to tackle this standard and did a darn good job, I think! I thought I would share our process. I collected grade-appropriate books on 6-7 different animals. I needed at least 4 books about each animal. 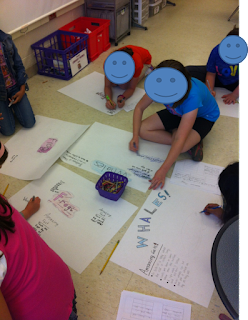 Then, students chose an animal (based on the books that you have available) that they were interested in learning more about. 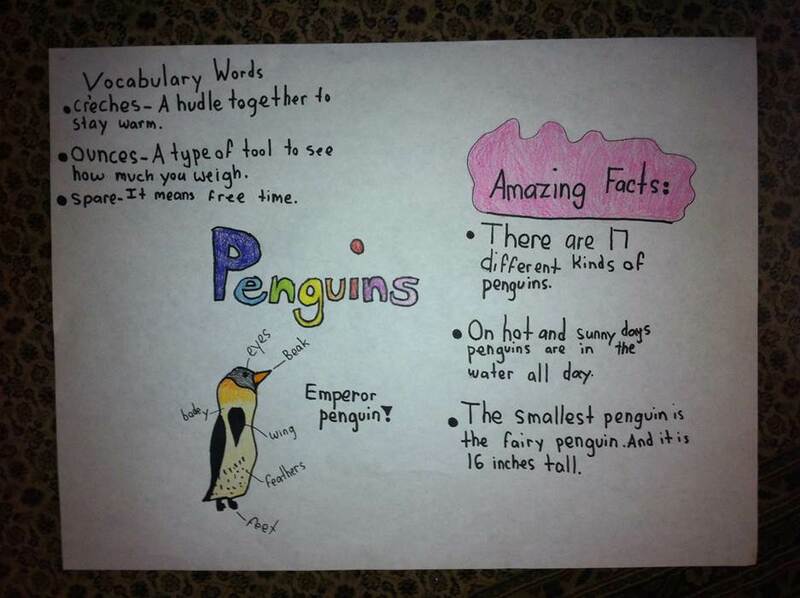 My animal topics were: frogs, snakes, sharks, ants, whales, penguins, and spiders. Student groups formed based on their choices, trying to keep groups to 3-4 students, if possible. I then had them complete the first two columns of a K-W-L chart to get their juices flowing. That was it for the first day. 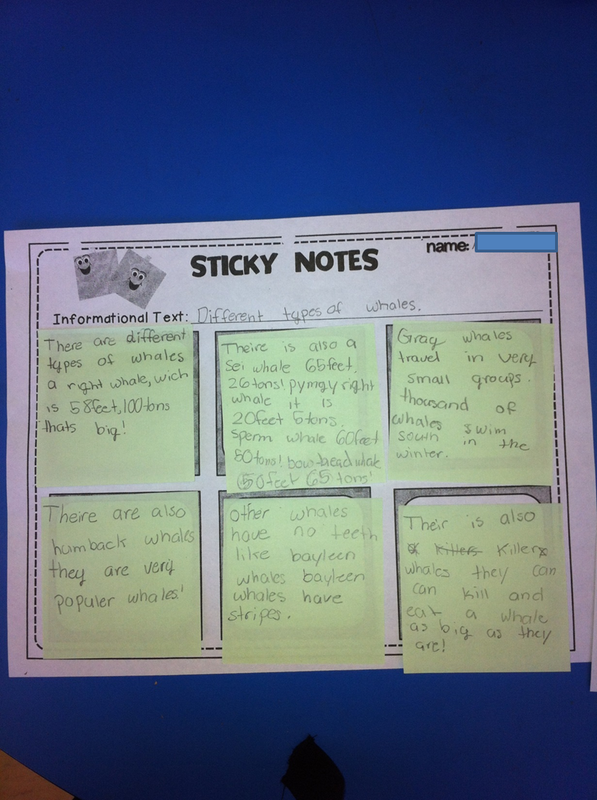 I modeled for students how to think of categories that they could use for sorting the information they will find when they begin reading. I scanned a book about bats, and as I scanned and talked aloud to students, categories began to develop. I wrote these on a large piece of chart paper: What Bats Eat, Where Bats Live, Kinds of Bats, Bat Predators, Endangered Bats, Echolocation, What Bats Look Like. Together we came up with 8 categories. 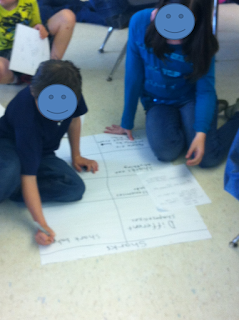 Students then got into their groups and created their own chart paper of categories to go with their topic. That was it for Day 2. 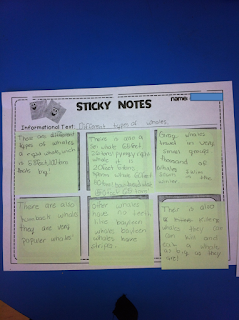 I began Day 3 by showing students how they would collect facts to go with each category on their chart by writing the bits of information they could find onto sticky notes. We talked about how to choose the most important facts for each category and how they could combine facts that go together. They then got together with their group and they split up the categories on their chart, with each person collecting information for 2-3 of the categories. 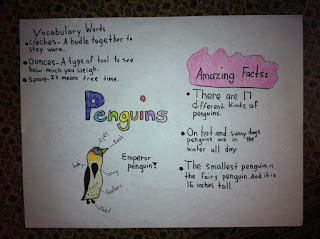 I emphasized that it would be important to use more than one text when doing their research, to make sure they found the most accurate and complete information and to compare the information they found in different texts. The set to work, gathering information for their assigned category. Students got together with their groups to share the information from each of the categories. 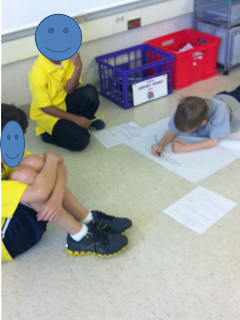 There was much discussion and the kids really enjoyed learning from each other!! 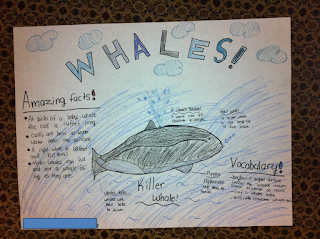 The next step was for students to present their information on a poster. 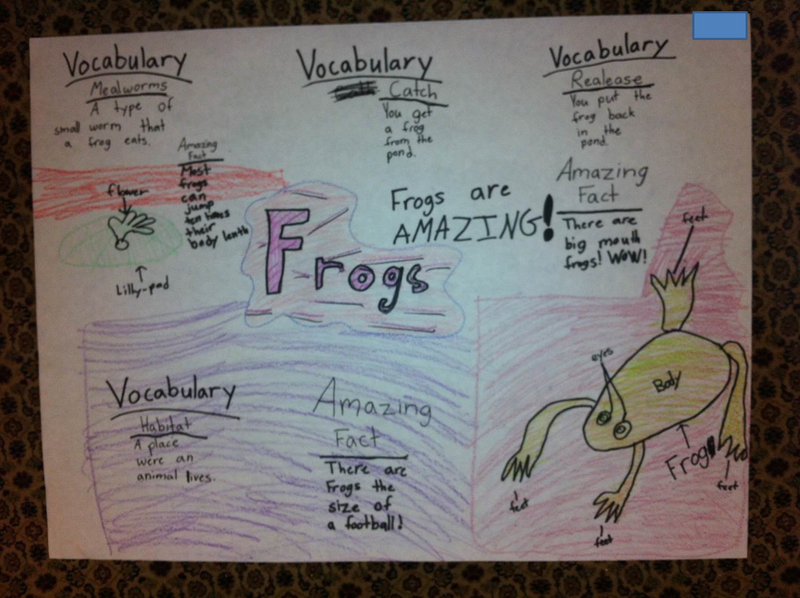 Gina, from Beach Sand Lesson Plans, had her students create posters using 3-4 vocabulary words, 3-5 amazing facts and some illustrations, diagrams, or maps. I loved this idea, so I created a simple graphic organizer to help students gather this information to prepare for making their posters. 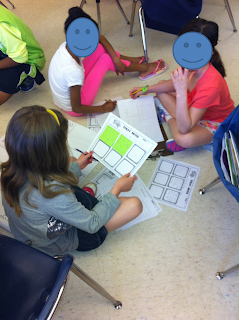 They worked together on gathering the information (since they were each experts on a different category), but completed their own graphic organizer. 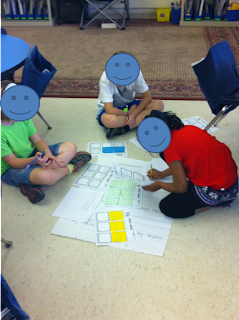 After completing the process, students revisited their K-W-L charts to finish that last column. 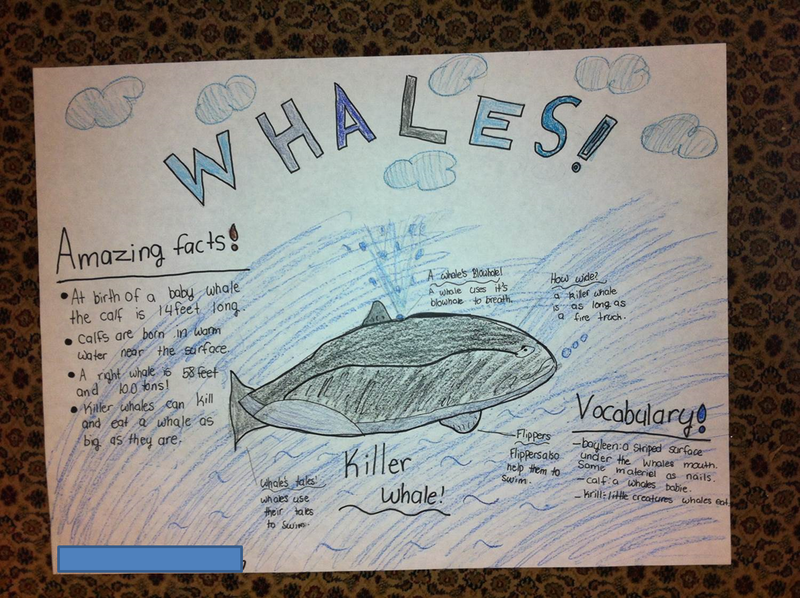 My students had a lot of fun with this "project" and learned a lot about gathering information on a topic using multiple texts. I plan to have them repeat this process this week on a new topic, for even more practice. After that, the next step will be to have them follow the process independently instead of in a group. This skill...using multiple text sources to gather information....is so very important and one that students will use throughout their life. I've struggled with finding an effective way to teach students this concept, but I think I found a winning method!! I hope you try it...I would love to know how it works for your kiddos!! Have a wonderful week...it's already Tuesday!! Love the idea of working together to create a project! We have to do a research report in second grade, so I try to build up to it by doing little things throughout the year, but will definitely incorporate this next year! I know the students will love the social aspect, plus it gives them a chance to learn from others. Thanks for the great idea, Kathy!